Midge came to us at the beginning of this year. A young girl that came out to the rescue really wanted him and fell in love with him. We processed her adoption application, and despite being first time horse owners we felt comfortable placing Midge into their care as they would be keeping him at a boarding stable and one of our adoption inspector volunteers would be able to keep a close eye on him. This is Midge when he arrived at the rescue. Once Midge was in the girl’s care she rode him and rode him hard. We began to get nervous when her vet expressed concerns as well as our adoption inspector for Midge’s health. We had additional inspectors go out and the reports and pictures just were not good at all. The parents of the girl who adopted Midge started feeling like we were singling them out and tried to become the victims. We explained that we were concerned for Midge. Despite what our inspectors documented, a lady from the boarding stable came out ranting and raving that Midge was doing great. “He’s gaining weight, getting muscle, he’s looking great, he’s doing awesome!” But, pictures don’t lie. Jason and Tawnee went out to see him as well, and Tawnee took the below photo’s. This adoption was going bad and fast. 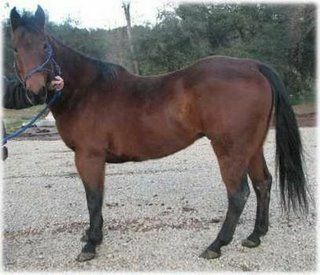 Midge was losing weight, was being ridden hard, was going lame from the heavy riding, and according to Midge’s adopter’s vet, was on the verge of developing laminitis from the heavy riding. 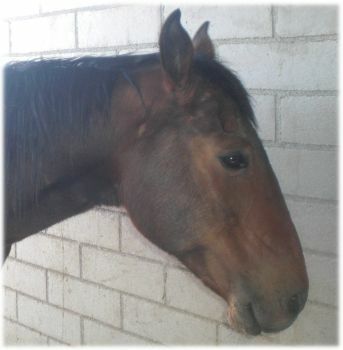 Despite being told by their vet that Midge needed rest, Midge’s adopter continued to ride him hard. You could see it in Midge’s eyes, he wasn’t happy. Yes he had gained some muscle, but there was certainly no fat around the muscle and he was deteriorating. He was plain wore out. She would ride him for about 3 hours 5 days a week after being dropped off from school. Thankfully Midge is back in our care and receiving the rest and care that he needs. Midge, we didn’t find you the right home, and we are so sorry you went through this! About the most exciting thing that happened at the rescue today is Angelito and William decided that a water faucet would be a perfect scratching post. That is, until it broke and water started spraying all over them. They took off with an innocent smug on their faces, practically whistling a happy tune. So we had to turn off the well water and Jason started looking to see if we had replacement parts. And of course we didn’t. So, off to town to get the right parts. In short order it was back together and working well. NorCal has been growing by leaps and bounds, and the need for a larger rescue facility in a better location has been growing with it. Tawnee always keeps her eyes out on Realtor sites looking for that “perfect” place. When we moved to Oroville 2 years ago from Quincy, Tawnee and Jason personally bought the hilly 10 acres the rescue is currently located at and it seemed perfect, and if we were only rescuing 50 horses a year it would be fine. 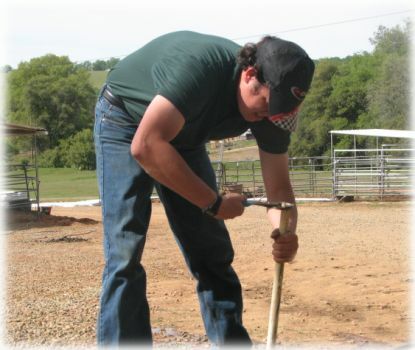 It’s already been over 100 just this year… In the summer time water is scarce at the rescue, and the well seems empty most of the time just trying to keep the water troughs full. Last summer was scary most of the time. And then with the winter rains and no were to show horses out of the rain, it can be really hard. No, we’re not complaining, we’re preparing you to read about the below dream location. 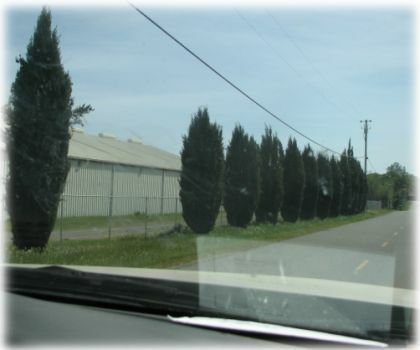 Tawnee found a place for sale on a paved road, 2 turns from Highway 70. They drove out there today and yes it is spectacular. It looks spectacular! 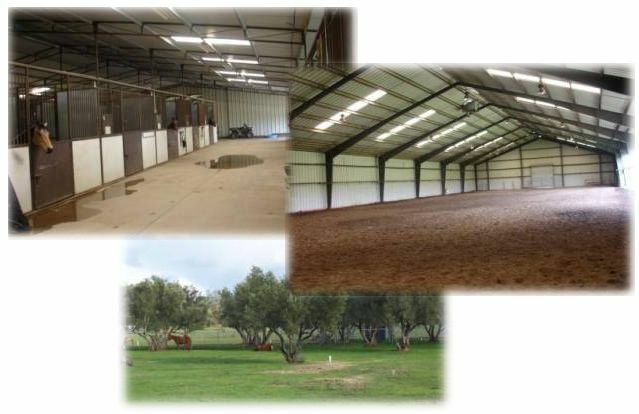 It has 46 stalls, a large indoor riding arena, etc. Wow, no more worries about rain, sun, wind, or any other weather! 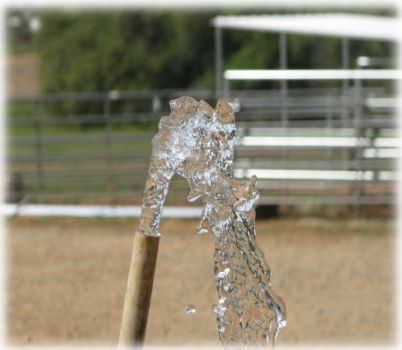 Is this the forever home of NorCal Equine Rescue? Time will tell… Jason and Tawnee are getting an appointment to go look at the whole facility soon. It’s pretty amazing looking!!! Poor Midge people don’t realize they need to be brought back to condition slowly. Especially knowing he had been out to pasture for months. 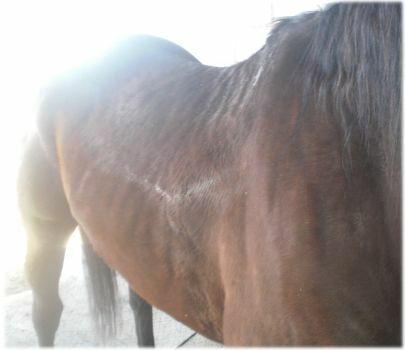 No horse should be ridden hard for 3-5 hours daily even when in top shape. So glad you got him back before it was too late. So glad someone was concerned enough to help him out. 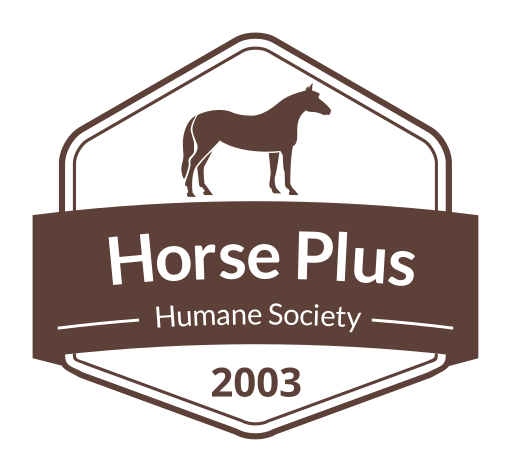 This blog started out very sad for Midge and its really sad that the girls parents couldn’t have been more responsible as parents should be and notice that the horse was being overworked, but at least midge is back with you. Then the new site for the rescue sounds great good luck. It was entertaining to watch the fervor that Midge’s return to NorCal started on Craig’s List. All the ads have been removed by now, some were really incredible. It is sad that some of the horse community around here believes that NorCal is out to steal horses, spread diseases, ruin fences and good names.Keep up the good work and continue to be open and helpful. Just pass the popcorn the next time something happens.